Just an idea I've had on my mind for a while. I wanted to figure out a way to combine abstract, high-level systems thinking with the raw, emotional punch of storytelling. 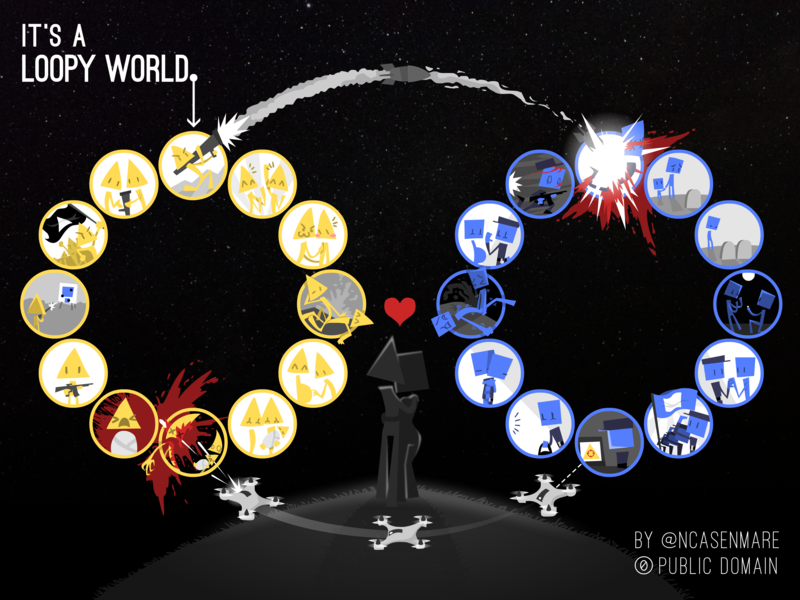 Eventually, I settled on this – a story of an intergenerational war, a cycle of violence, depicted as literal circles. I might do more of this, depending on how much others like it (or not). I've been really fascinated recently in storytelling from multiple perspectives, (see this section from my OpenVisConf talk, and this TED talk) because it may be a more humane, more empathetic way of understanding our loopy world.